Our Big 4-Oh Special Series goes out with a bang. 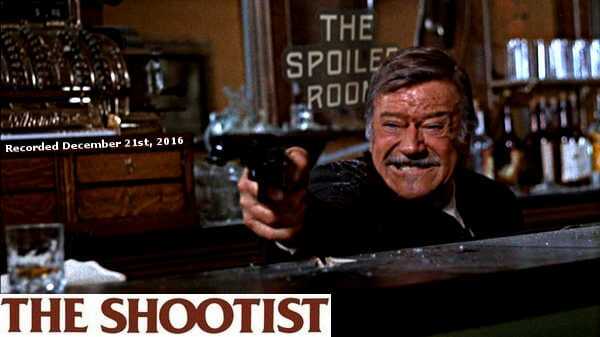 Tune as the Crew talk about "The Shootist" from 1976. Listen here or on Itunes. Crew in the Room: Scotty D and Mark "The Movieman"